At Cabot Primary we recognise and celebrate the many gifts and children have. However, we ensure that children with clearly identifiable gifts and talents are given appropriate challenge to help them develop and remain motivated. This is organised by the schools ‘Gifted and Talented Coordinator’ and we work closely with other local schools to provide opportunities for those identified as Gifted and Talented – you can find out more in our policy here. 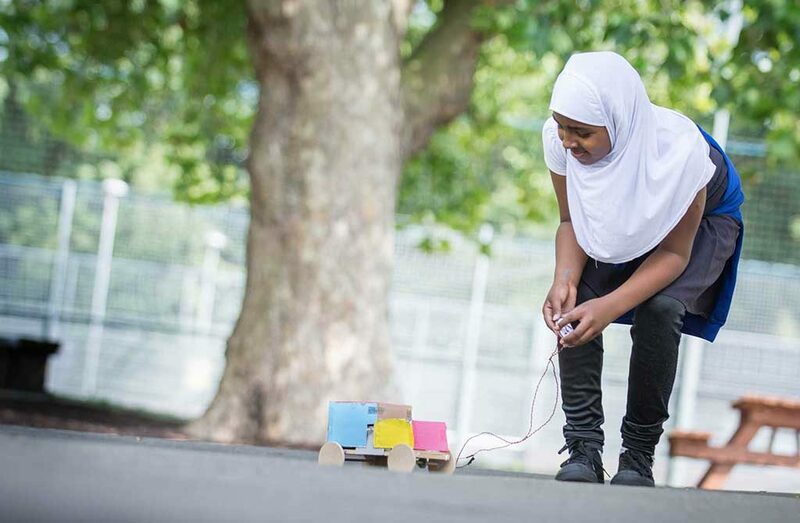 This club provides opportunities for children from Reception to Year 6 to use their maths, science and design technology skills to design and make a vehicle to a specific design brief. Every week the children are supported by an engineer from the MOD. At the end of the project the vehicles are entered into a countywide competition in each of the three age categories. Miss Huish has been working with Paul Roberts (Sports Coordinator for the 4 Schools Partnership) to identify the more able children in P.E. Subsequently, Mr Roberts has been working on a programme with these children. The first several weeks were spent giving the children various “challenges” based on agility, coordination, speed and balance. Weekly sessions have since provided these children with a more varied and challenging programme of activities and introducing them to new and interesting games such as rock climbing, fencing, dry slope skiing to name a few. For more able mathematicians a select number of children have represented the school in National Mathematician annual award run by Explore Learning. There is also an afterschool club for children in KS2 where they work on using and applying their mathematical understanding to solve puzzles and problems. Children in year 6 who are identified as more able also receive additional small group teaching in preparation for level 6 SATS. Children in Year 6 who are identified as more able also receive additional small group teaching in preparation for level 6 SATS in both Reading and S.P.A.G. In addition, four children represented the school in a Spelling Bee against children from St Werburghs, St Barnabas and Glenfrome. The School is introducing Accelerated Reader for children in Years 2- 6. This will ensure all our students are reading books with the right level of challenge and will motivate them to understand what they are reading by taking quizzes on the books they have read. Furthermore we will be setting up reading groups for our gifted readers to deepen their understanding. These sessions have been run through Bristol University’s ROBO project. The children have been introduced to coding with Lego Mindstorms resulting in getting the robot to dance and set team building challenges such as building the tallest tower out of spaghetti.